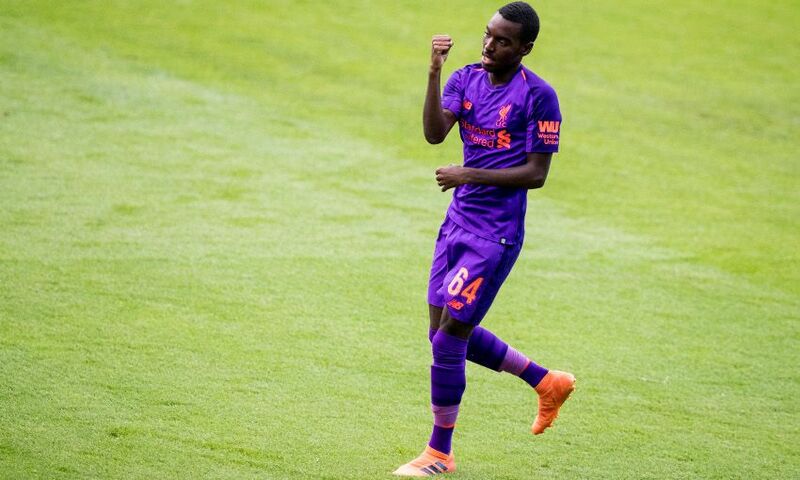 Rafael Camacho hailed the 'major feeling of scoring his first senior goal for Liverpool after netting in a 3-2 friendly win over Tranmere Rovers this evening. The 18-year-old opened the scoring with just seven minutes gone at Prenton Park, sweeping a low finish home after being fed inside the box to get the Reds off the mark. Asked how he felt when the ball hit the back of the net, Camacho told Liverpoolfc.com: "Very good, to get my first goal for Liverpool was a major feeling. "I just played a one-two with Sheyi [Ojo] and I kept running, got the ball and I placed it." Camacho was deployed in an unfamiliar right-back position by Jürgen Klopp on his maiden first-team outing, but stuck to the task well as he got another important half of football under his belt. Underlining his desire to impress the boss, the Portugal youth international added: "It was another good opportunity and good to get another 45 minutes. "The boss is asking me to do a job as a right-back for him. He wants to see me defending-wise and I’m just trying to do my best to help the team. "[I want] to impress and give everything everyday to show the boss and help the whole team and show I can be a part of this Liverpool squad and go from there."